If putting an Asian spin on guacamole wasn’t weird enough, I just went ahead and did the same to nachos. Trust me though, you’re gonna want to go all in on this one. 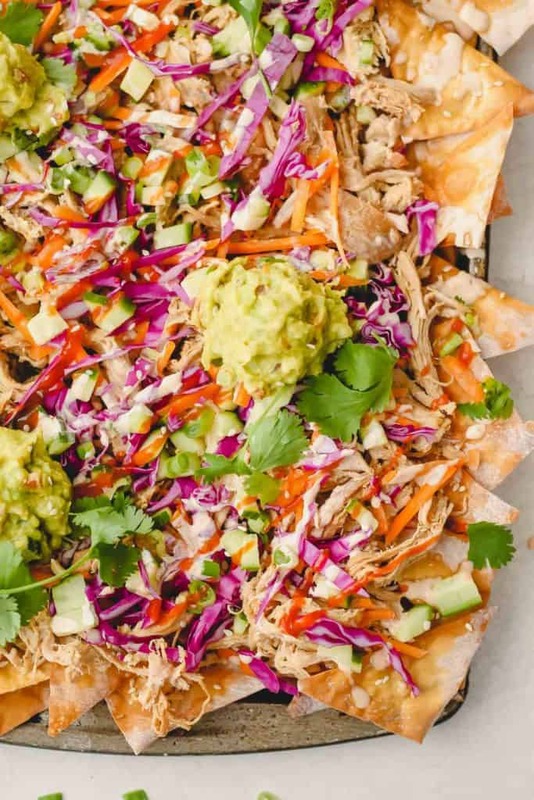 If there was ever a nacho recipe to be a major hit at a game day party, these Asian Chicken Wonton Nachos just might be it. Simply put, they’re are so incredibly good, I could have devoured the whole pan myself. 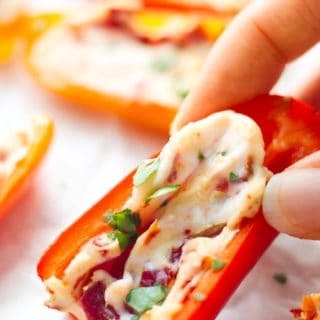 And, they’re pretty darn healthy which is definitely a win-win, especially since we’re dealing with game day appetizers here! 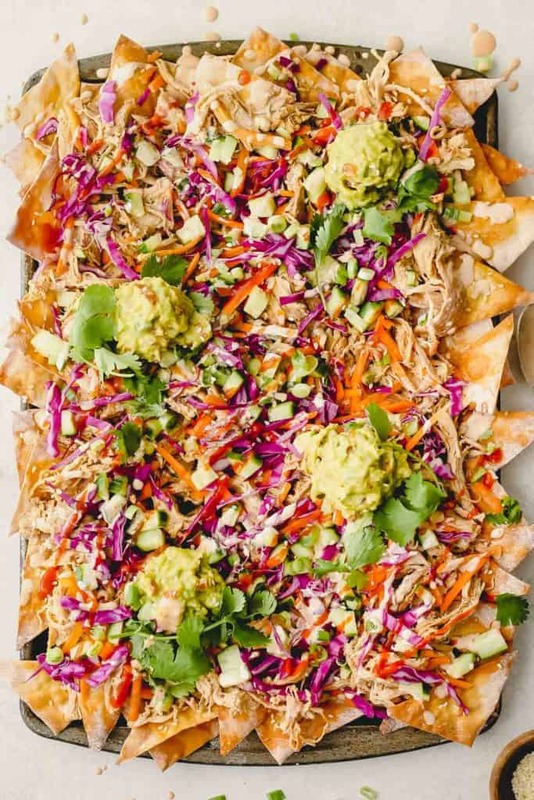 Grab a sheet pan or platter large enough to hold this motherload of nacho goodness. Spread a layer of wontons on the bottom of the platter. 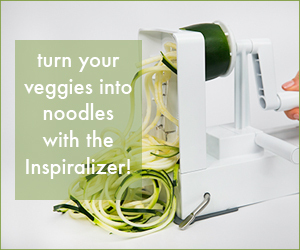 Layer on the fresh veggies. For convenience, buy bags of pre-cut carrots and red cabbage. 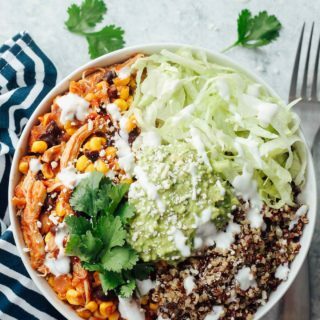 Grab some gochujang, a traditional Korean pepper sauce, or sriracha and mix it with sour cream and drizzle over everything. There you have it! 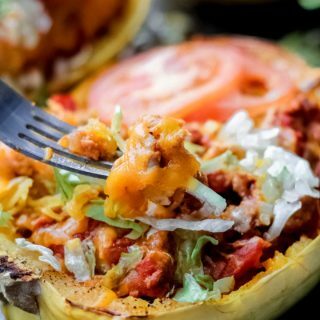 Six layers of maximum flavor with so many amazing textures coming together in one bite. 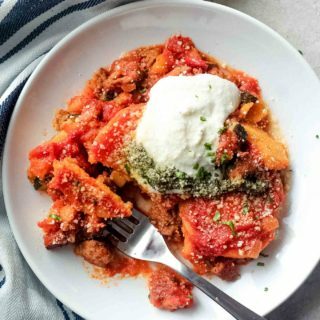 It’s best to lay out some forks when serving because things are bound to get a little messy with all the toppings and sauces involved. 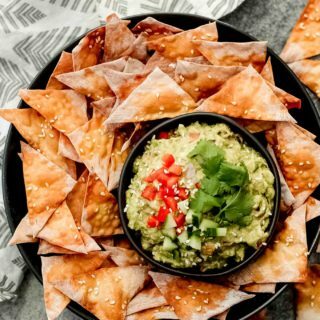 And as with any good appetizer at a Super Bowl gathering, once they’re on the table, get in there right away because these nachos will be gone before you know it! 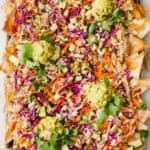 The ultimate plate of nachos with an Asian twist! 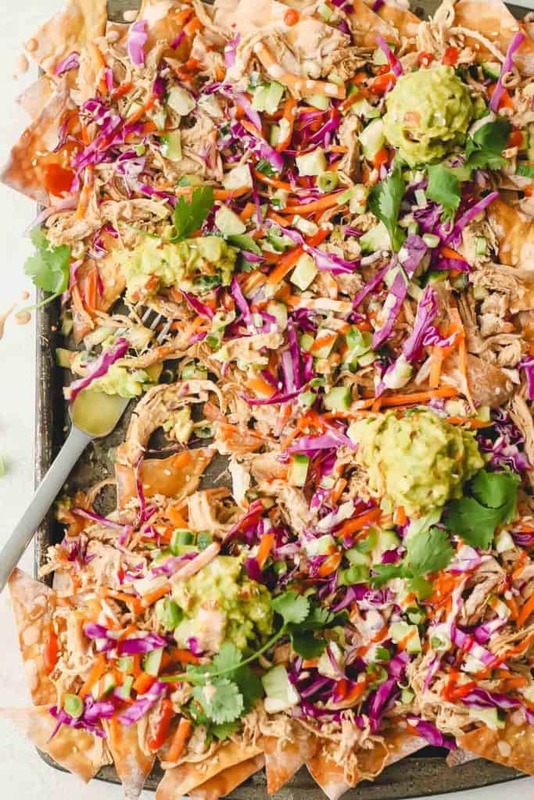 Layers of tender pulled chicken, crisp veggies, and guac piled high on top of sesame wonton chips. 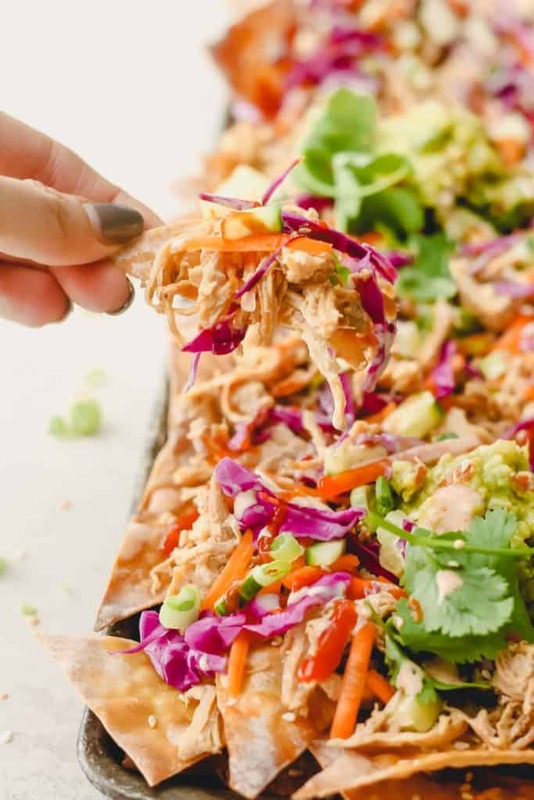 Prep: Make a batch of Slow Cooker Korean Pulled Chicken and guacamole with sesame wonton crisps. Assemble: Layer the sesame wonton crisps on a large platter or sheet pan. 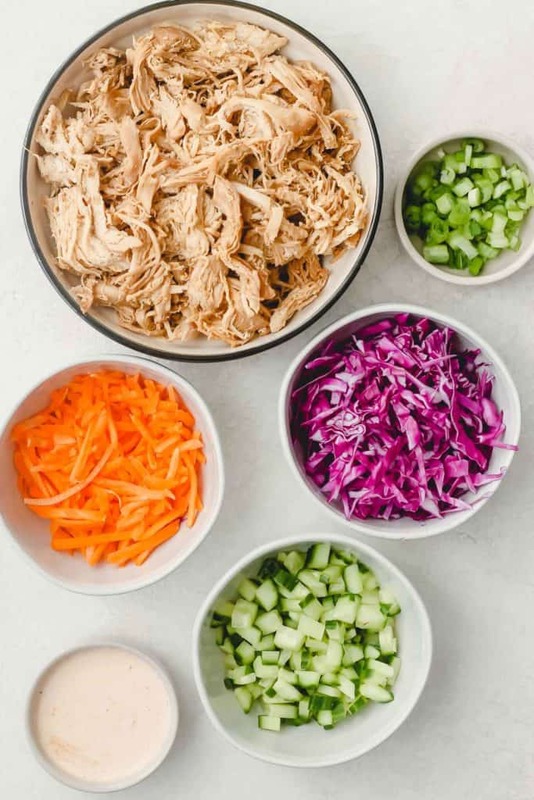 Then, layer on the following ingredients: pulled chicken, shredded carrots, red cabbage, and cucumber. Top with dollops of guacamole and a drizzle of gochujang sour cream. 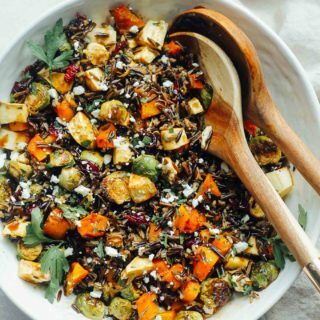 Sprinkle on the chopped green onion, cilantro, and sesame seeds.